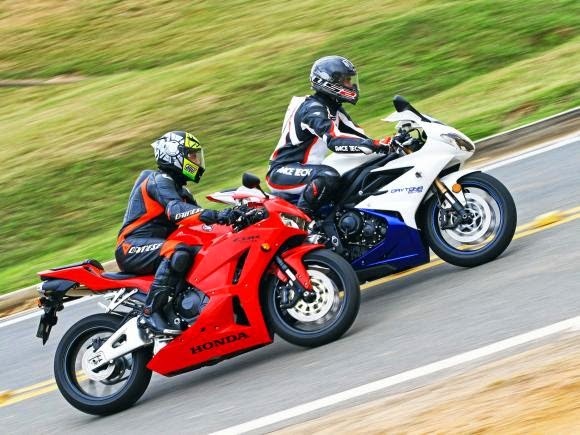 Moto Sports Duel average Honda CBR600RR VS Daytona 675. More compact and lighter than the models of 1000cc, the supersports medium displacement, the Supersport category, are also more accessible. Both in price because they are cheaper, as the pilot because they have the power of stupid sports a liter. They are good companions for weekend trips and also do ugly on a trackday. 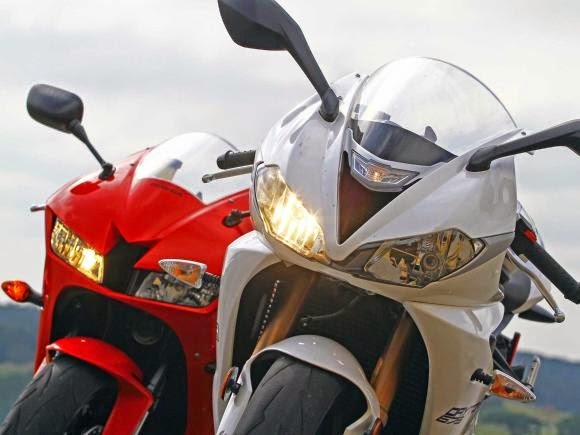 Thinking about it, put face to face the two best-selling models between sports 600cc: a renewed Honda CBR600RR and the latest generation of the Triumph Daytona 675. Although compete the same segment, there are two crucial differences between the two: the engine. 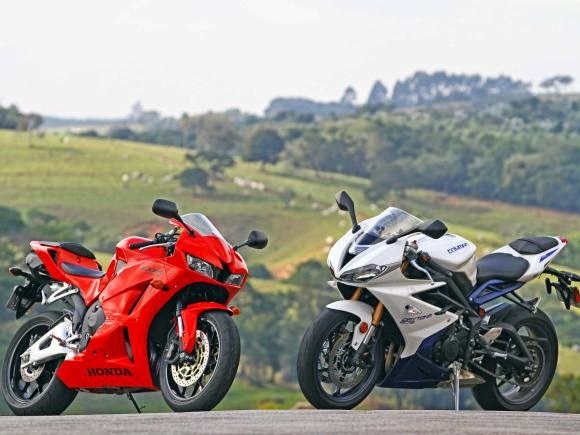 The CBR600RR has a known four-cylinder, while the 675 brings a three cylinders engine. The other is the price. Imported, the Japanese have suggested price of US$ 11,490 in the standard version without C-ABS brakes. Have the English, mounted in Manaus, costs lower in the base version, but now with ABS. 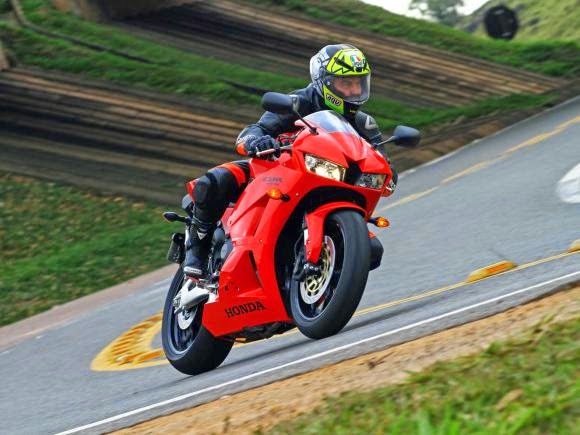 For 2014, the Honda updated the CBR600RR. 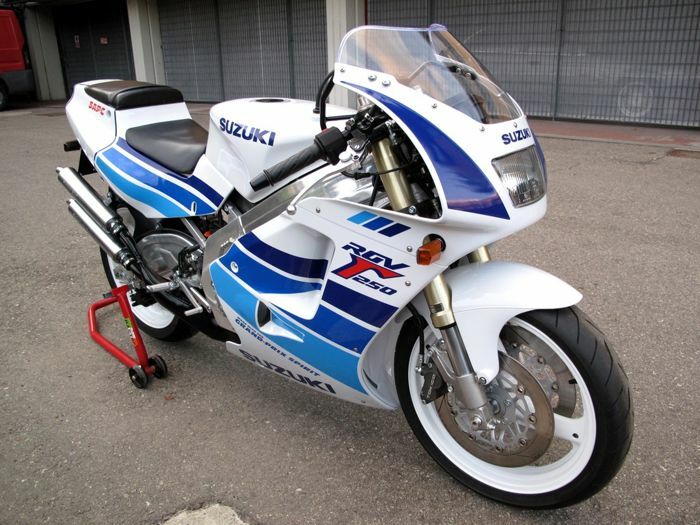 Right away, there is the new look inspired by the RC 212V. The front fairing has headlights in new format and with a larger central air intake. The side fairings and the tail also changed. At the rear, the CBR was wider and has two air intakes to improve the bike's aerodynamics. According to Honda, the new clothing decreased by 6.5% aerodynamic drag. The exhaust, while still leaving under the tail, now brings LED flashlight up and not the card holder. According to Honda, the new tank design lets the pilot freer to move and offers improved ergonomics for arms and knees. And it was noticeable during the test: it is easy to get around on this Honda 600 between a curve and another. The riding position has remained comfortable for category parameters, of course. Inside, the CBR600RR has maintained the same four-cylinder in-line engine with double overhead camshafts (DOHC) of 599 cm³ of 2008. version Rather than increase power and torque, the brand chose to reprogram the ECU and improve response throttle in different working bands to leave the motorcycle more accurate and at the same time more controllable for novice riders. 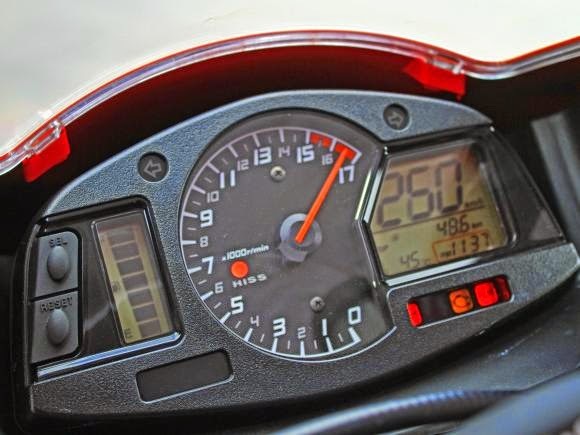 The engine generates 120 hp at the same rpm 13,500 from the previous version, but if before, he had the feeling that the average sports Honda ended early, it has now been corrected. The engine seems to push strong even there over 10,000 spins. The superesportiva remains floating double discs with 310 mm diameter Tokico four-piston calipers at the front and one disc diameter of 220 mm with a single piston caliper Nissin above. Have the suspensions are new. At the front, the CBR600RR has adopted an inverted telescopic fork Showa with the same 120 mm of travel, but it allows numerous adjustments and works best. Ensuring more progressive, and greater stability in time of heavy braking. Another item which aids in stability is the electronic steering damper HESD (Honda Electronic Steering Damper). 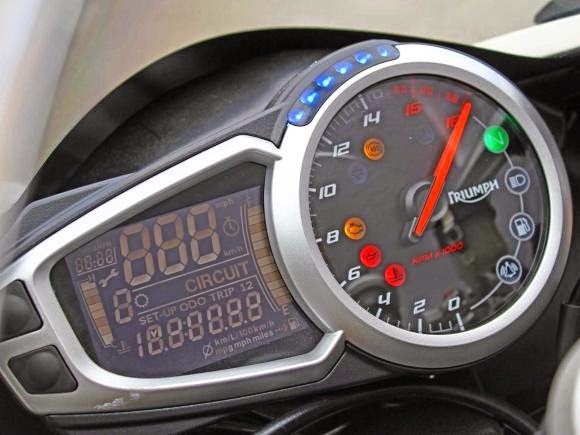 But the 600RR is must in some items, such as slip clutch, and continues giving up electronics, as it has no traction control (the Daytona does not). And the model with the C-ABS electronically controlled is not yet for sale in the country. The new generation of the Daytona 675 was also presented abroad in late 2012, but landed here first in his version "R" with top of the line specifications in 2013. But the standard model, came only in 2014 year with a competitive price. Although he kept his engine tricilíndrico of 675cc, the new English middle superesportiva won three more horses, reaching 128 hp at 12,500 rpm. It also received new chassis and the exhaust was repositioned to improve motorcycle weight distribution. Its lines were straight and more aggressive and optical assemblies, front and rear, have been renovated. With this, the Daytona was 1 kg lighter: are 167 kg dry. Enough to be 2 kg lighter than the CBR 600RR (169 kg). Ie face, Daytona comes out ahead due to its lightweight, powerful and inexpensive. The 2013 model of the Triumph Daytona also has a sliding clutch system, called the slip-assist mark. The equipment prevents the rear wheel of the bike "jump" during a sharp reduction gear - another item that gives advantage to the English sport. This standard model has front suspension KYB brand, with inverted forks 41 mm, preload damping adjustment, return and high compression / low speed, with travel of 110 mm. At the rear there is a single buffer with extra reservoir preload damping adjustment, return, and high compression / low speed travel of 129 mm. In front brakes, the pistons of the Daytona 675 are the Nissin brand. At the rear, Brembo caliper and the ABS system switchable (on or off) on two wheels is standard equipment. When mounting in the two models soon realizes the different philosophy between them. The CBR is more spacious. Its riding position, although it is a sports bike, it's a little more comfortable. Already the 675 is more slender and provides a more racing pilot, "playing" the pilot to the front on the handlebars. Honda 600RR tried to make a good sport to the streets and roads. On the other hand Triumph wanted to make your 675 a real bike to the slopes. And it also appears in motor behavior: while the Japanese sports shows more strength in low to mid-range, the English always asks for more acceleration and demonstrates more torque at high spins. Now for the power difference (declared), it is difficult to realize the 8 hp more of Triumph on the road (128 hp against 120 hp Honda). But both have enough power to keep speeds well above those permitted. In cycling part there are also differences, but smaller than the engine. The new Honda suspensions are really excellent and transmit enough confidence: that feeling that you know exactly where you are and where will the front tire. And the top dual beam aluminum frame offers excellent handling. This, together with the gentle and linear behavior of the four cylinders 600RR makes a very stable motorcycle cornering, either more open or closed. And, at least on the road, the Triumph of cycling set also must on no "R" version. With more rigid than the CBR hit, the front fork seems to feel more floor imperfections, but this new generation of Daytona has wheelbase and smaller caster angle, making it a very agile motorcycle and need for the change of direction. Their behavior is more aloof than the Honda and any pilot strength in the pedals or the tank already seems to point to 675 at the entrance of the curve. Have CBR requires greater pilot's performance to "throw" his transition from straight position for the slope is a little slower than in Triumph. Not that I despise cubic centimeters or many horsepower, but in my opinion, the supersports averages are much more fun than 1,000 cc. The size and weight of the 600cc are smaller, lower power not intimidated and it seems that you (and I) can extract more of the bike. Brake later, accelerate earlier cornering outputs and work with the tachometer up there. 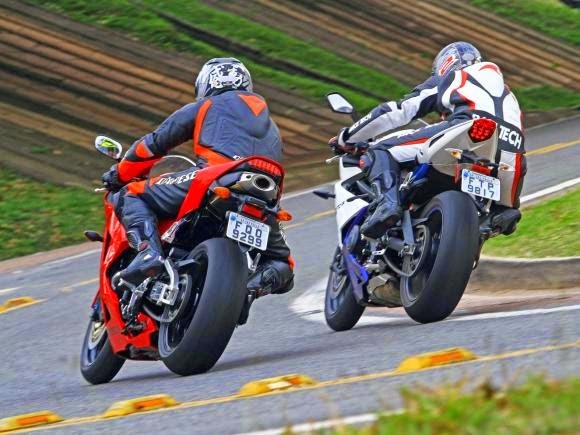 I say this to praise both bikes: both the CBR600RR and the Daytona 675 are excellent means sports for those who want a motorcycle to run on the road and have fun (enough) on the track. Depending on the ABS as standard, the more power, the less weight and more affordable price, this clash Triumph is victorious. 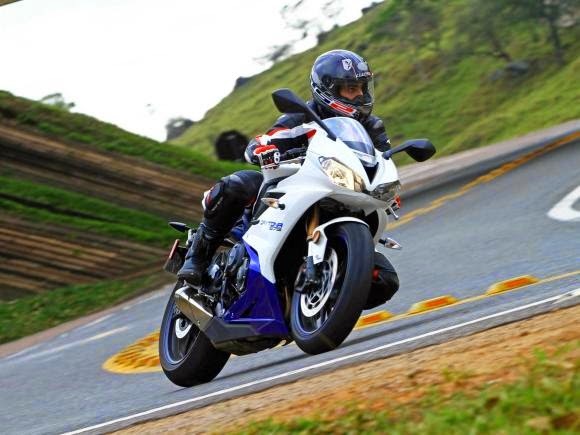 Although it is more racing and less comfortable, the Daytona 675 is extremely agile and fun. Just to give you an idea, with the amount of S$ 11,490 charged by Honda is possible to buy even the Daytona 675R, top of the line version, which has a suggested price of US$ 13,499 and comes with better brakes and suspensions, in addition to the quick shift, a very useful item if you are walking mostly on tracks.